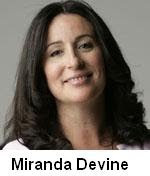 Miranda Devine has some insightful comments on Dawkins & Hitchen's anti-Papal crusade. Includes comments on worrying developments in Holland and America, where certain elements are trying to normalise pedophilia. See the article for details. FYI, Dawkins never intended to arrest the Pope. That was a media invention.